I’m on a history buzz at the moment. 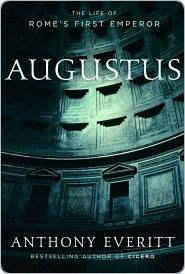 A couple of weeks ago I finished Robert Leckie’s book about the American revolution which was quite excellent and just this morning finished a book on the life of Caesar Augustus (Octavian) which was also a very good read. I was always interested in Octavian as it always seemed that Julius Caesar took the limelight but that Octavian was just as significant a historical character. I’m following these up with “First they killed my father“, a book about the Khmer Rouge in Cambodia. It’s something I’ve meant to read for a while having lived here for a few years. After that I’ve got Antony Beevor’s “The Second World War” on my reading list – I think it will be a fascinating read. I’ve read a few of Beevor’s books before, thoroughly enjoying Stalingrad. Although I did get stuck on his book on the Spanish Civil War, which just proved to confusing and complicated to follow (I could hardly tell who was on whose side half the time!). Homage to Catalonia proved a much simpler read to get a vague grasp of what was going on there. I’m pretty interested in reading Leckie’s book on the American Civil War as well, but sadly there is no e-book version of this yet. Hopefully a digital format is coming soon. Finally, following on from Simon Schama’s riveting “Citizens” (about the French Revolution) I’ve been hankering for a good book about Napoleon. I had my eye on one book about his Russian disaster (especially as that campaign is often referenced in Beevor’s “Stalingrad”), but it might make more sense to find a broader book about his life.